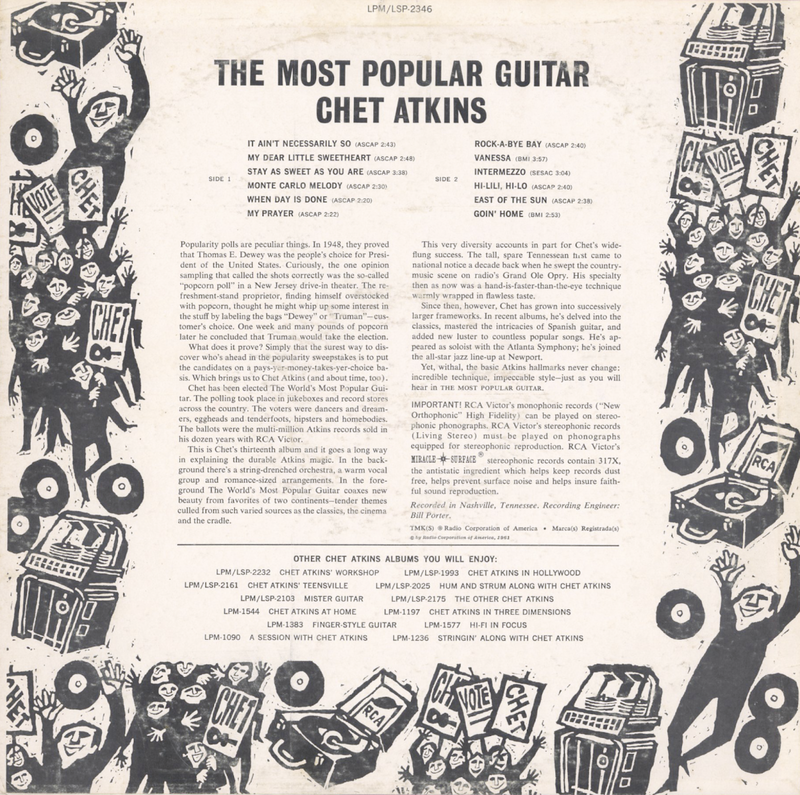 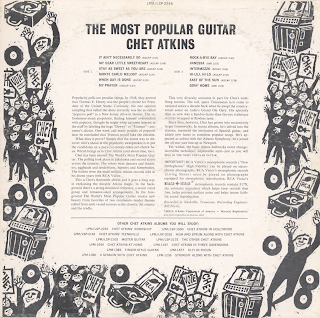 From the back cover: This is Chet's thirteen album and it goes a long way in explaining the durable Atkins magic. 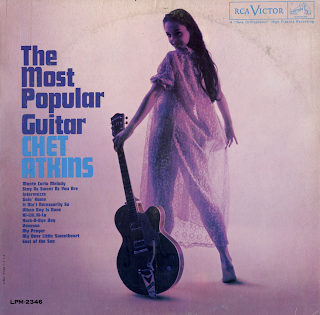 In the background there's a string-drenched orchestra, a warm vocal group and romance-sized arrangements. In the foreground The World's Most Popular Guitar coaxes new beauty from favorites of two continents – tender themes culled from such varied sources as the classics, the cinema and the cradle.